As mentioned on the review of Round the Corner(1), the series has a second kit with two more Marines that can be used on Tet ’68 or other street battle scenes. B6-35303 Round the Corner(2) includes two U.S.M.C. soldiers on standing poses with legendary weapons of Vietnam War; M-60 Pig and M-79 Thumper. Inside company’s standard cardboard box with a photo of the painted figures on the front cover, figures and other small parts are seperately inserted into transparent zip-lock bags. Bodies and other sprues are marked as A and B for each figure to ease the assembly. Resin casting is great as in all BRAVO*6 figures with no serious mistakes or a need for a detailed cleanwork. A few seamlines on the arms need to be sanded. Details on the uniforms and weapons are sharp and clean. Figures are sculpted in 1/35 scale by Vladimir Demchenko and come as full body figures with some personal gear cast on. Heads, arms, some of the field gear and weapons are given as seperate parts. Both Marines wear standard Vietnam War United States tropical uniform of jacket, trousers and canvas-leather combined boots. Cloth folds and wrinkles on the jacket and trousers, pockets with flap covers, trotters inserted inside boots and boot laces are all well defined. Over their uniforms, they have first pattern M1955 Flak Vest. Doron plates, zip front closure, elastic cartridge belt holder on the waist and rifle guard over the right shoulder are nicely sculpted. Some of field gear are cast on the figures. Figure-A carries a First aid kit pouch on the backside and a M17 Gasmask case on the right hip. In addition to the same equipment on the same configuration, Figure-B has two M16 ammo pouches. Facial features and expressions are well sculpted. As it may be seen on the photo, there was a black line on the right side of Figure-B’s nose. It is not a deformation and there is no need to fix or fill. He shows a strong pose raising his M60 machine gun on his right hand. Upfolded sleeves and details of the gun like buttstock, feed tray, forearm, barrel, front sight and flash supressor are well represented. Left hand is cast on the machine gun. A resin 7.62 ammo link is provided for M60. Posed standing and leaning forward to load his weapon, he shows a proper anatomy to his pose. Right arm with upfolded sleeves carries a a single-shot, shoulder-fired, break-action M79 grenade launcher. Left arm is posed to load a 40 mm ammo. Two canteens, a pistol in leather holster to attach the left side and a survival knife for the right side are given on a seperate sprue. Boxart shows the figure carries a USMC KABAR knife. 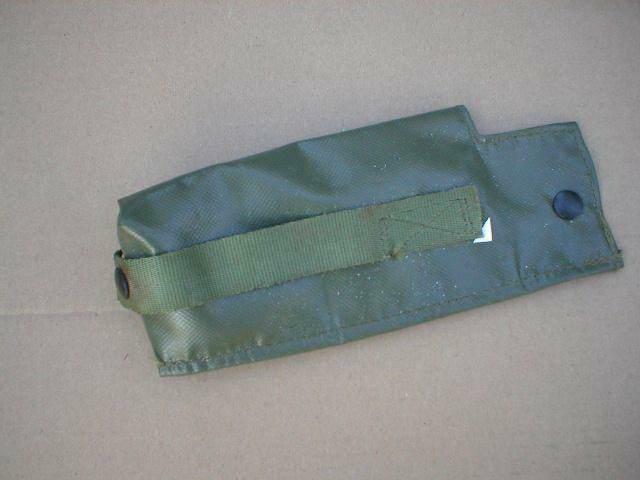 Another sprue carries a six pouch M79 bandolier to assembly on the front side and a M79 Accessories case for the right hip. Kit also includes PE parts for bipod legs of M60, gunsight of M79 and 3 eyeglasses. Well posed two-figure kit with classical Vietnam War weapons. As always sculpted in clean and crisp details and cast in high quality. It can be displayed alone on a Tet corner, with Round the Corner-1 or can be added to scenes with other BRAVO-6 Tet ’68 Marines figures. Highs: Very nice poses with M60 and M79. Photoetched bipod legs and gunsight and bonus eyeglasses. Lows: A few seamlines to clean on the arms. Verdict: Highly recommended for Vietnam War.